The most energy efficient electrically heated hot water shrink tunnel of its type. A true innovation for our industry, our hot water shrink tunnel machine is the most energy efficient, electrically heated, hot water shrink tunnel currently available globally. It uses an amazing 70 percent less energy than other hot water shrink tunnel systems. Running at 16Kwh, in typical use, it is considerably more efficient than other tunnels in use today. It uses a unique water heating and recovery system to achieve supreme shrink performance. The unique energy recovery system provides warm water for recycling and/or other uses within a processing plant thus reducing energy consumption even further. 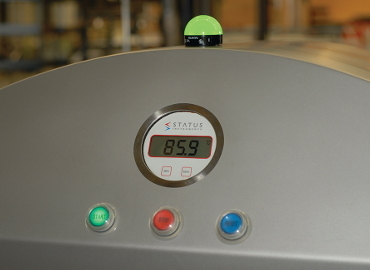 The touch screen panel controls all functions of the unit, from temperature to water flow and belt speeds. The shrink tunnel easily converts from left to right hand direction. 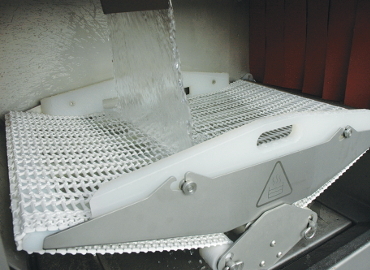 The iShrink easily connects to other equipment required within the process. It is compatible with the iSeries range. 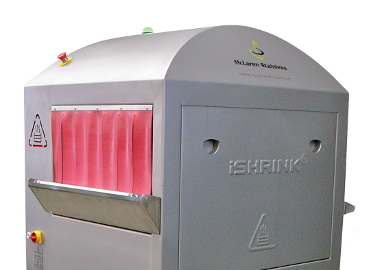 The iShrink's unique water height adjustable, internal bath system, and 100 percent water curtain width guarantees excellent vacuum packaging shrink results, whilst the variable speed conveyor takes presentation to a whole new level.